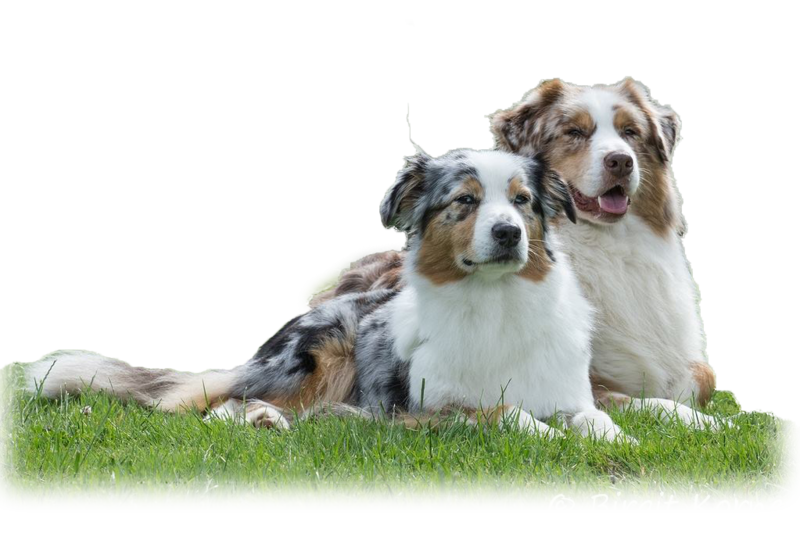 The puppies of Storm and Fairy (NL Ch. 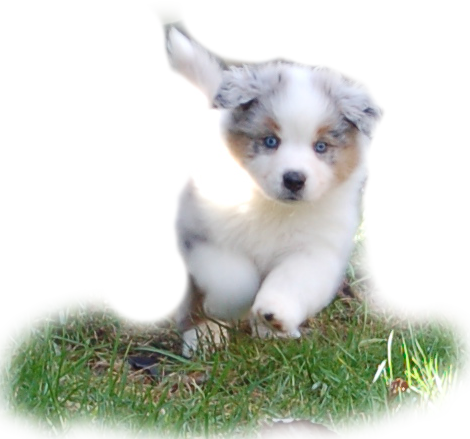 Skaye's Air in Motion NJK x NL Ch. Fairy Tales and Lullaby des Bergers Du Nord) are now 6 weeks old, chipped and vaccinated and enjoy the life outside when the weather allows it! for more information look at the puppy page!for more information look at the puppy page! 17th of January Fairy gave birth to a beautifull litter! 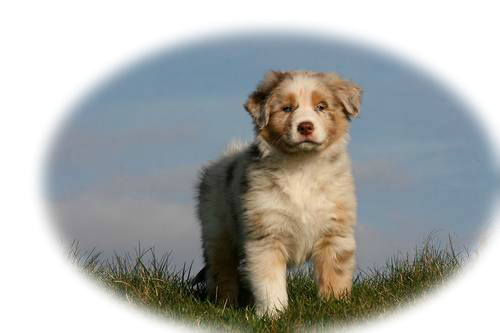 have a look at our puppy page and see how they grow up! 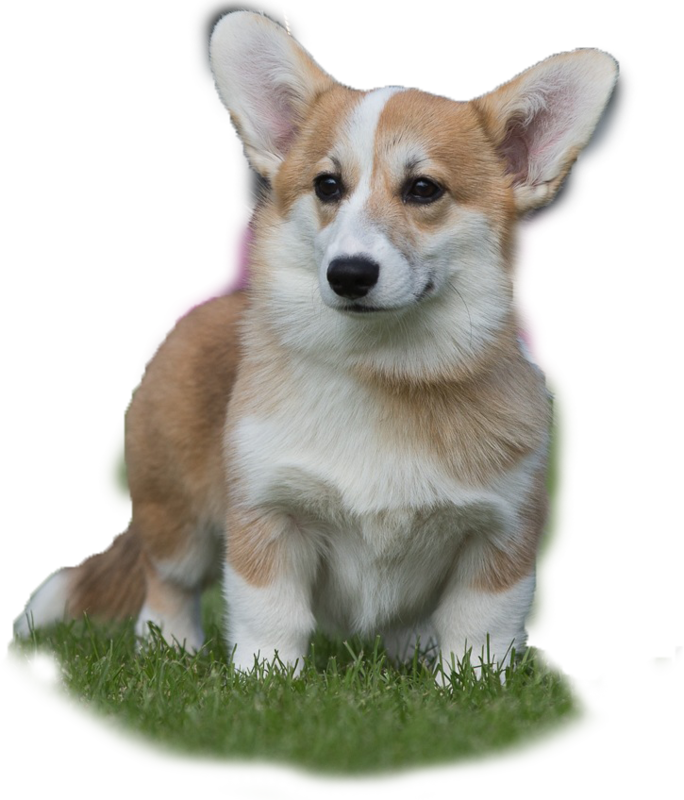 look at our puppy page!look at our puppy page! 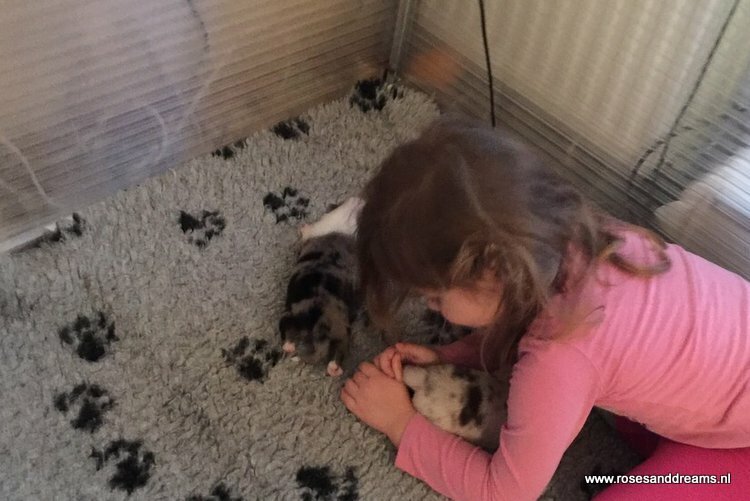 Read more: Little paws@ Rosesanddreams! Sometimes fairytales do come true! Thx a million times Tania Trogman for sharing this gorgeous girl for a while! And thx Manon van Wingerden to make this possible. Pregnancy is confirmed! We expect little fairytales mid januari. 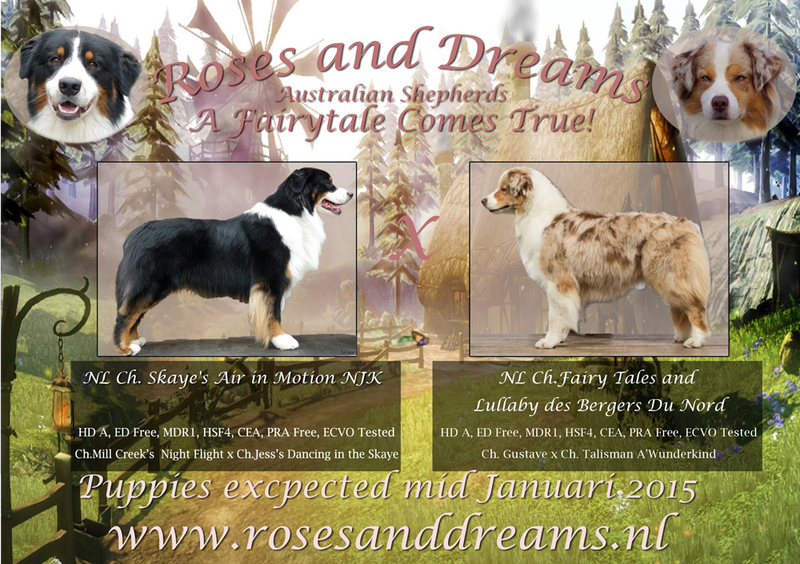 Read more: Puppies Fairy-Storm mid January! reat news! 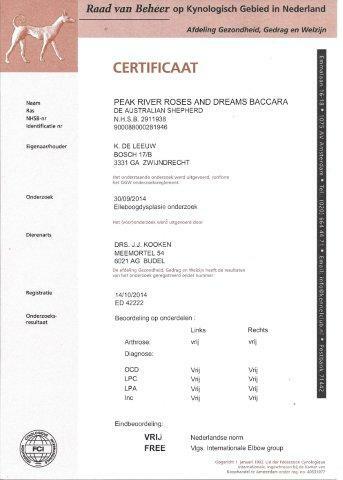 We got the FCI-results of the Hips and Elbow tests of our "Rose", Peak River Roses and Dreams Baccara. We have planned a beautifull combination: Cyllene ( Breezy Thornvalleys Cyllene) & Alex (Ch. Thornapple Double Jeopardy). 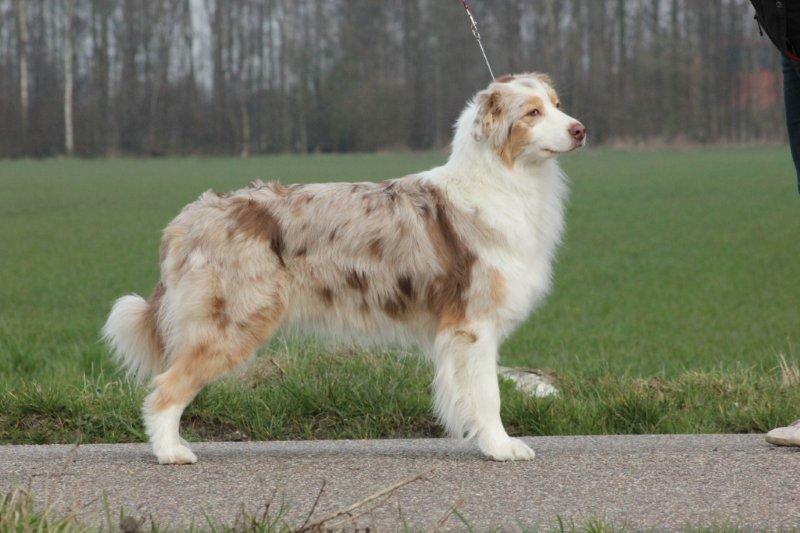 Alex is also the father of our Thorn (Be, NL Ch. Roses and Dreams Against All Odds) . More news to follow! We had great weather last night so the next puppy-pics are outside! They are 4,5 weeks old now and doing well! have a look at the puppy page or scroll below! Puppies born 14 june 2014! Last Friday Chanel gave birth to a beautifull litter of 6 puppies! We are so happy they are all happy and healty. 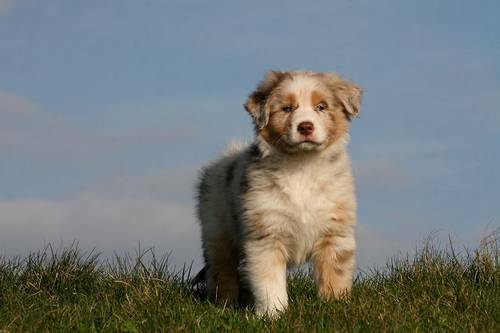 keep track of our site and puppy pages to see how they grow up! thanks Anne marthe Espeseth and Rianne van Tiggelen for making this litter possible! Read more: Puppies born 14 june 2014! Our newest guest has arrived! A new breed for Roses and Dreams This time! 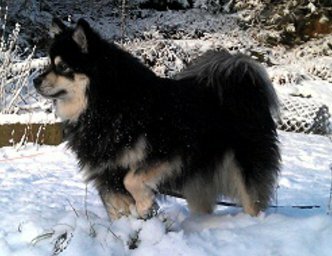 We welcome The Finnis Lapphund Tricaliz Connie (AKA "Connie") for the coming period! After a long day at the ASCB Championship show we had a photsession with our youngsters and Jane, the pembrok! Blue merle male: Roses and Dreams Diamonds are mine "Onyx"
Black tricolor male: Roses and Dreams Diamonds Forever "Nepal"
Blue merle male: Roses and Dreams Diamond Ticket "Ivory"
Black tricolor female: Roses and Dreams Dazzle my Heart "Jewel"
Black tricolor girl: Roses and Dreams Dancing Ticket "Jade"
Kijk snel op onze puppy pagina!